Are you sick and tired of everyone telling you a different way to build muscle? Are you unhappy with how you look in the mirror? Are you frusturated with your slow progress in the gym? 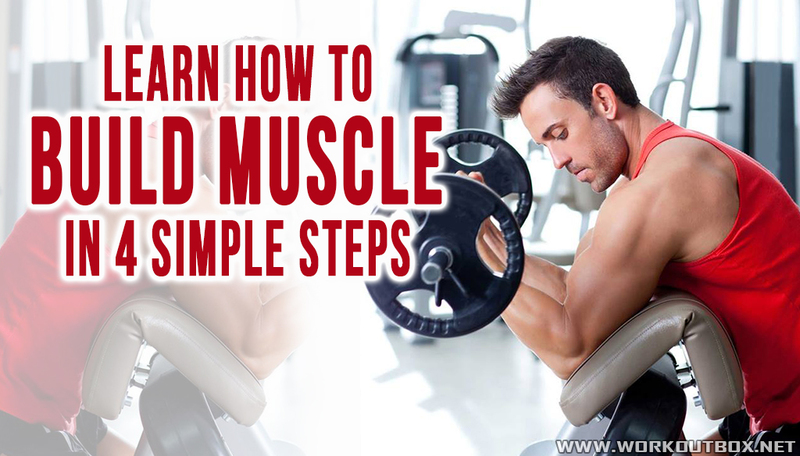 Are you ready to learn five simple steps that will teach you how to build muscle safely and effectively? 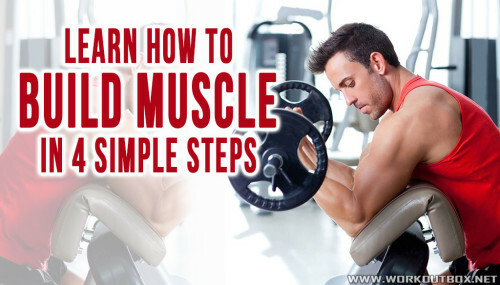 Get read to learn how to build muscle in four simple steps, in less time, without any drugs and without bogus supplements. Committ to lifting weights at least three to four times per week. Your goal is to stimulate your muscles with resistance (stress) which results in your muscles growing bigger to avoid the stress from occuring again. Once you go home, let the muscle heal through nutrition and rest, it will grow bigger and you will repeat this process again. Ideally you should hit your muscles once every 72 hours so you could perform 2 upper body workouts per week and 2 lower body workouts per week. Focus on eating at least 5-7x a day with balanced meals from carbohydrates, proteins and fats. If your goal is to build muscle than you should be eating at least 15-18 x your current body weight. Your carbohydrates should equate about 45% of your intake, your proteins should equate about 35% of your intake and your fat should be the remaining 20% of your intake. You should focus on over half of those meals being solid whole food meals and the remainder can be liquid meal replacment shakes. You should focus on stretching at least half the amount that you lift weights. One of the biggest mistkakes I see is people training, training and training with out any stretching. Stretching helps restore normal length to the tissue and if you are constantly training, your muscle tissues will shorten and big to perform weaker and slower and have a higher incidence of injuries. So if you are lifting weights 4 hours in the week, at least an additional 2 hours should be dedicated to stretching. You must counteract the shortening of the muscle tissues that occurs with weights or else you are a injury screaming to happen. Avoid supplements that have not been around for longer than 3 years. I learned this phisophy from an Australian strength coach who recommended not trying any supplement until it has been around at least 3 years to pass the test of time. This will make your life much easier and help you avoid all the marketing hoopla in the latest fitness and bodybuilding magazine. If you follow this rule, you will discover only a small handful of supplements still standing. Here are the ones you should not go with out: a high quality multi-vitamin, fish oil capsules, powdered creatine and a protein powder. These products will cover your nutritional basis for health, healthy body composition, strength and muscle mass. Sleep! Good sleep is key!